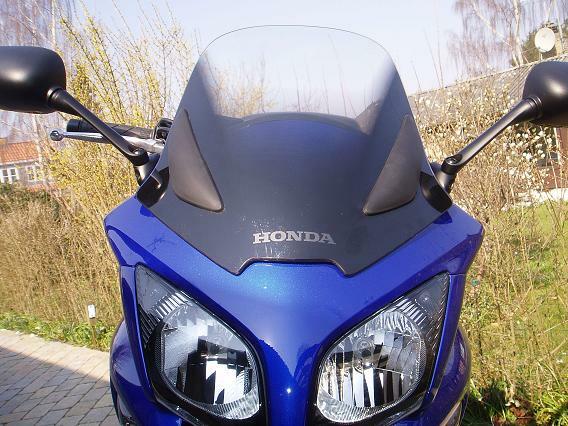 This DIY article describes how to adjust windshield height on a 2007 CBF1000A Honda motorcycle and is applicable for 2006 to 2009 models. 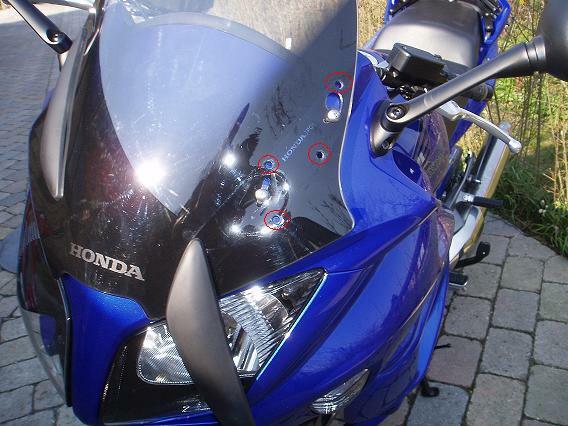 Although the instruction book recommends this to be done by an authorized Honda dealer only, the following description and pictures demonstrates that it is not very difficult to do it yourself. All you need is 15-30 minutes, an two screwdrivers. First remove the two rubber plates which are attached to the front side of the shield: Insert the tip of a flat screwdriver under the side of the rubber approximately 1 cm from the top an gently pull outwards to disengage the rubber mount from the hole in the shield. Work your way down disengageing the next three similar mounts, untill only one is left at the bottom. The mounting holes are marked with red circles on the image below. You can just leave the plate hanging in the last mount. 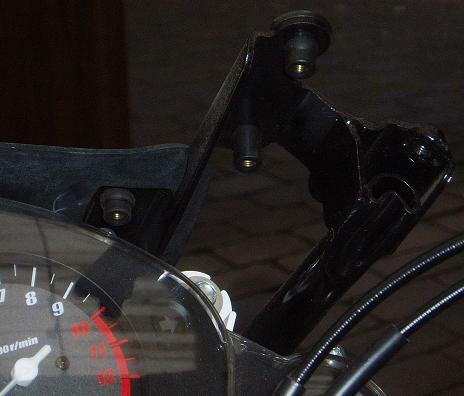 Notice how the four posidrive screws holding the shield in position are each mounted through a plastic device which is mounted in a slit in the shield plastic. Be sure that these plastic pieces are mounted correctly in the same way when the shield is remounted. Also notice how thight the screws have been tightened by the factory. They are in fact not tightened very much, and should not be tighned any more than that when remounted. 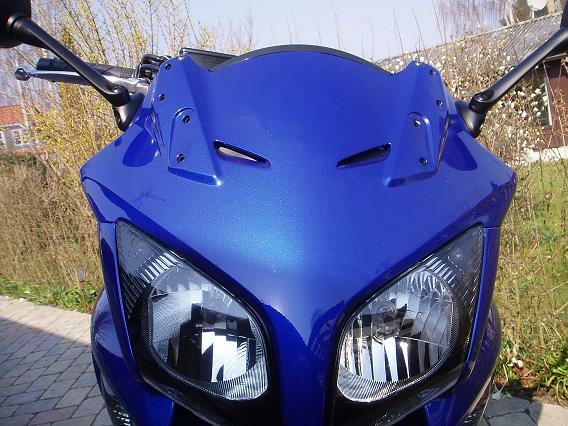 On the image below (which was taken at a later occasion where the front center cowl had been removed) you can see the rubber mounted threds into which the screws are screwed. Now unscrew the four posidrive screws, while making sure not do drop the shield when it comes loose. On the image below you can see the two sets of mounting holes. Position the shield in the new position, insert and tighten the four screws as they were before.